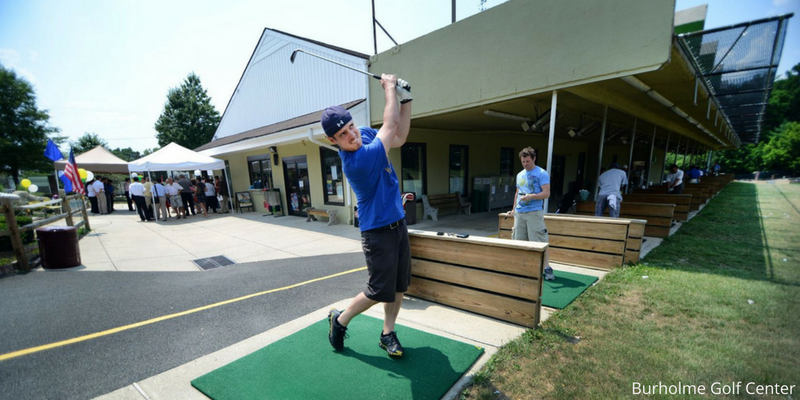 It is Philadelphia’s premier golf center to practice your golf game. Umbria contains a driving range with mats as well as golf simulators which can be rented for $40/hr. There is also a miniature golf course to help practice your putting. This is a perfect place to practice and have a good time with your family and friends! They have over 60 stalls with 3 target greens and multiple yardage targets, the best place to improve your game. The range also only uses Srixon balls. It is a great relaxing area to practice your swing. There are plenty of hitting mats with multiple distance markers to measure your ball flight. Also, includes very friendly service with a beautiful backdrop of the city.